The warm weather is finally upon us, and what better way to enjoy the sunshine than with the top down and on the open road? 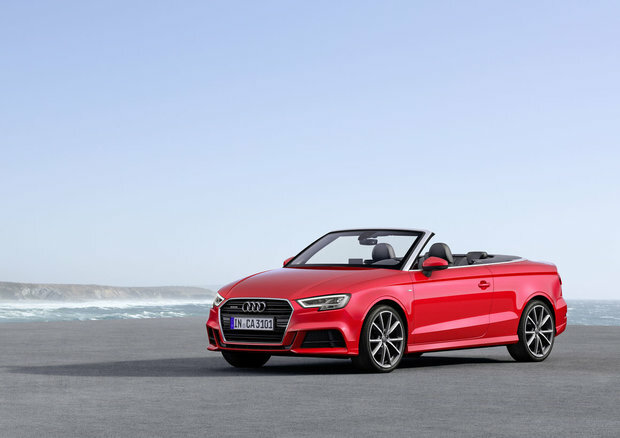 Well, Audi has the perfect weekend cruiser for you to soak up all the summer’s brightest rays with the 2018 Audi A3 Cabriolet. 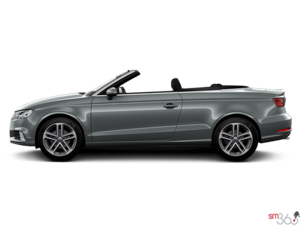 The 2018 Audi A3 Cabriolet wears its soft-top roof like a pro, with chiseled features and sharp lines that blend perfectly together. The fabric top harmoniously blends with the aluminum effect windscreen, giving the A3 Cabriolet a distinct look that’s instantly recognizable. Sporting the brand’s new angular headlights and modern linear front grille, the A3 is a handsome drop-top to say the least. Step inside the 2018 A3 Cabriolet and you’ll be met with a minimalistic yet highly functional interior space. Soft-touch surfaces, as well as leather seating and an available flat-bottom steering wheel with paddle shifters ensure the Audi A3 Cabriolet is both comfortable and capable. With 2+2 seating, the A3 Cab offers space for you and friends to enjoy an open-air ride. Audi’s digital cockpit is also available in the 2018 Audi A3. Beneath the A3’s sophisticated hood sits Audi’s 2.0L TFSI turbocharged engine that produces 220 horsepower and 258 lb-ft of torque. Best tell any passengers to hold on to their hats since the 2018 A3 Cabriolet can hit 100km/hr from a standstill in just 6.3 seconds, and power is controlled via a 6-speed S-Tronic automatic transmission. 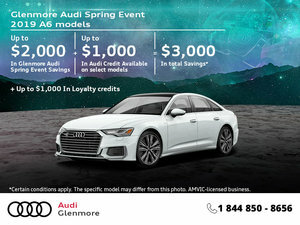 Despite the 2018 Audi A3 Cabriolet’s sporty demeanor, it comes equipped with Audi’s renowned all-wheel drive Quattro system, which means even when the sun’s not shining and things aren’t as cheerful on the road’s surface, your Audi A3 Cab will keep your grounded and pointed in the right direction till blue skies appear again. To find out more about the 2018 Audi A3 Cabriolet, head down to your local Glenmore Audi to speak to one of our experts. 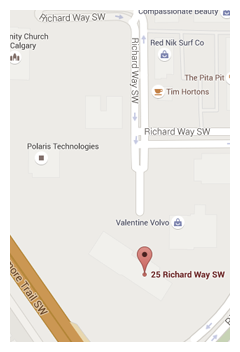 And if the sun’s out, you’ll definitely want to book a test drive to really see what this convertible has to offer.